The Downtown Miami and Brickell area is the hottest market in which to live, work and play, whether from Miami, the Americas or the rest of the world. We retain a unique strategic position, along with highly educated, affluent and culturally diverse stakeholders. This fine group of individuals knows and is able to appreciate all that is important about lifestyle and business needs. This allows the Chamber to serve as the catalyst for a prosperous and vibrant business and social community. Downtown Miami & Brickell Chamber of Commerce™, Inc. invites you and your organization to become a member leader, in order to realize your full potential. 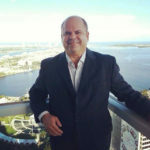 This can be accomplished by uniting positive, hardworking and visionary business people, with a common goal of the greater good of Miami’s business and social community, which includes you. The Chamber has crafted a comprehensive information and benefits package along with various levels of investments, in order that you may select your company’s member participation based on your needs. The membership levels, along with the sponsorship opportunities, provide generous benefits tailored to maximize your company’s branding and marketing objectives, as well as your own. Please note that customized programs can be addressed on an individual basis. The investment you and your company makes in the Chamber will realize an excellent Return On Investment (ROI) for your company’s bottom line. The Chamber’s structure permits you, the member, endless opportunities to profit utilizing your time, talent and treasure. Volunteering for the multiple committees, councils, work groups and events will enable the member leader to interact and network with outstanding business and community leaders. These lifelong relationships, when properly established, will bring to fruition both friendship and fortune for the years to come. Please review the enclosed information, and select which level of membership in the Downtown Miami & Brickell Chamber of Commerce™ fits you and your organizations, particular needs. Thank you for considering our invitation, and we look forward to your vigorous and exciting participation in our Chamber.